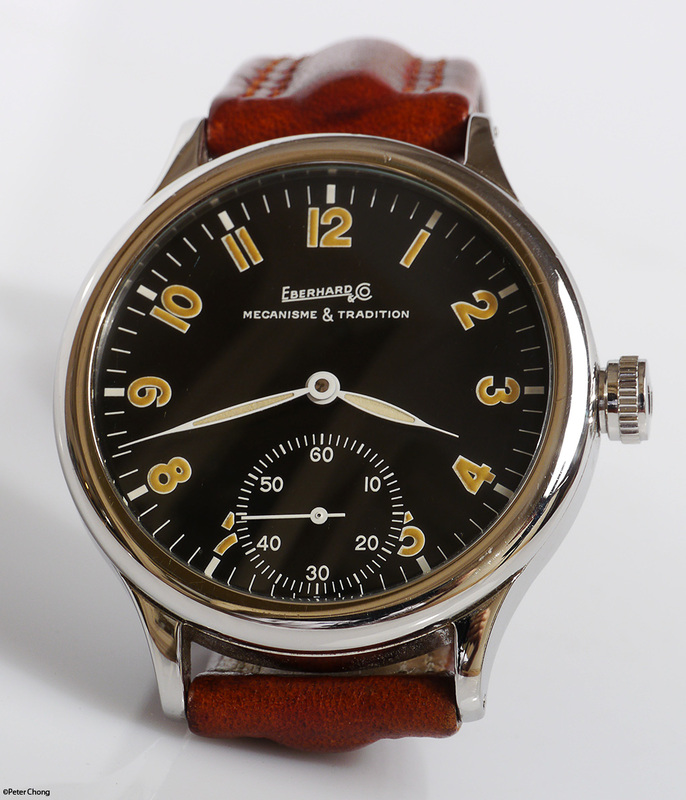 Continuing on the series on affordable watches. This watch was a minor sensation at www.timezone some years ago (um...13-14 years ago...) and achieved a cult status there. 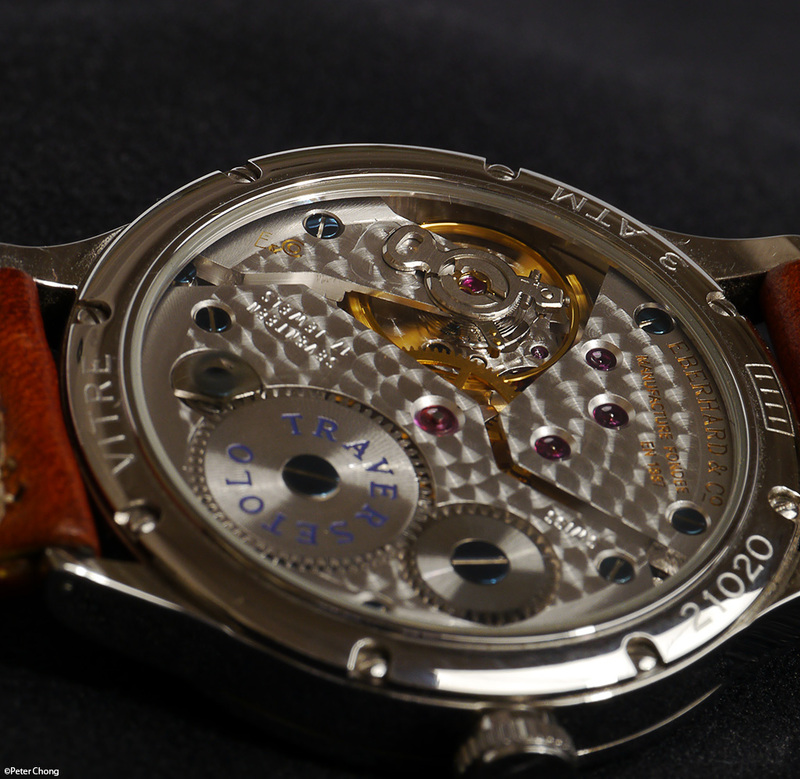 I have owned this piece for almost that long...quite a nice watch, Unitas movement, decently finished. Beautiful dial, with raised printed Arabic numerals with quite strong superluminova. I love the grace of the beautiful swallow hands. Very legible. 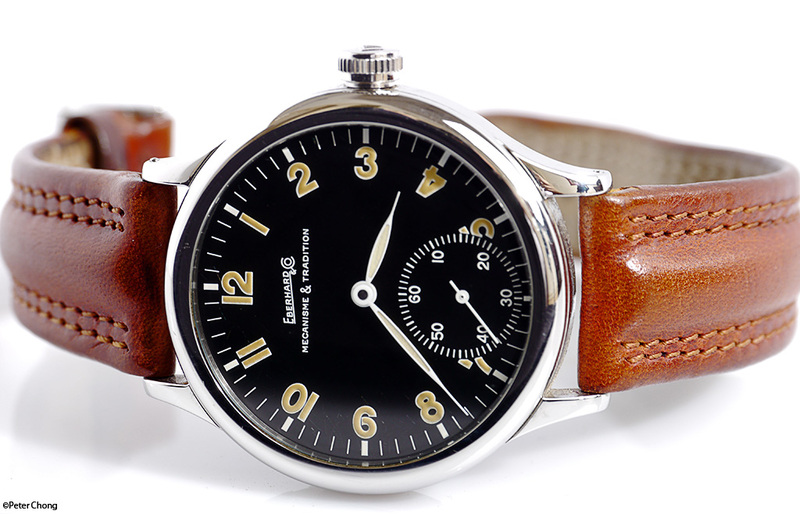 The watch case is 42mm, quite large in those days, though quite di rigeur these days. Perlage is applied generously to cover almost the entire upper surface of the bridges, and a nice circular polish to the flying barrel. 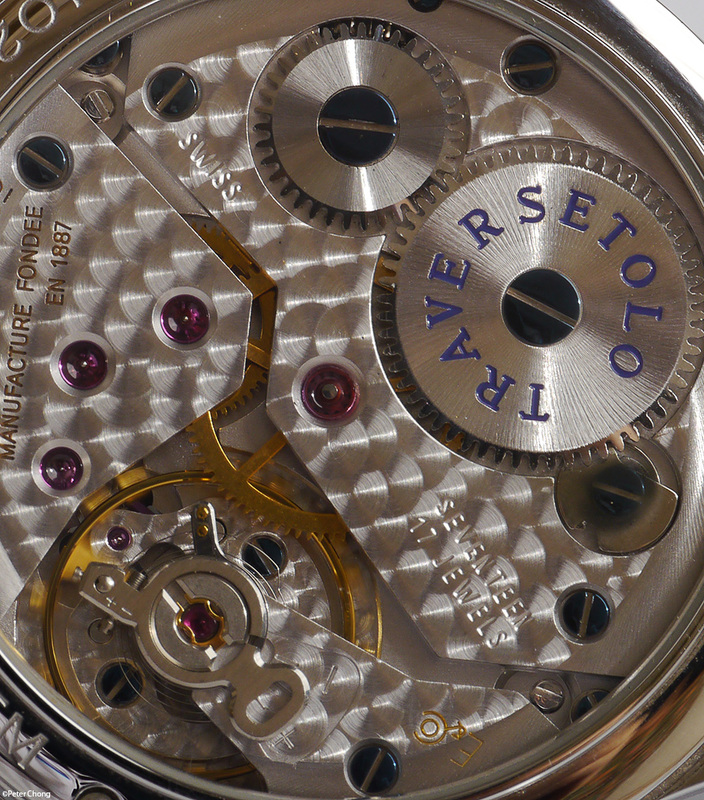 A closer look at the movement, showing the perlage, but chemically blued steel screws. Note slots of the screws are not blued, as blueing is not done the traditional method of heating and cooling, but by chemically dying the screws. The slot is cut after bluing, so the part remains un-blued. I owned this watch, probably 14 years, never serviced. Runs well, accurate to within 2 seconds a day. Looks very nice. 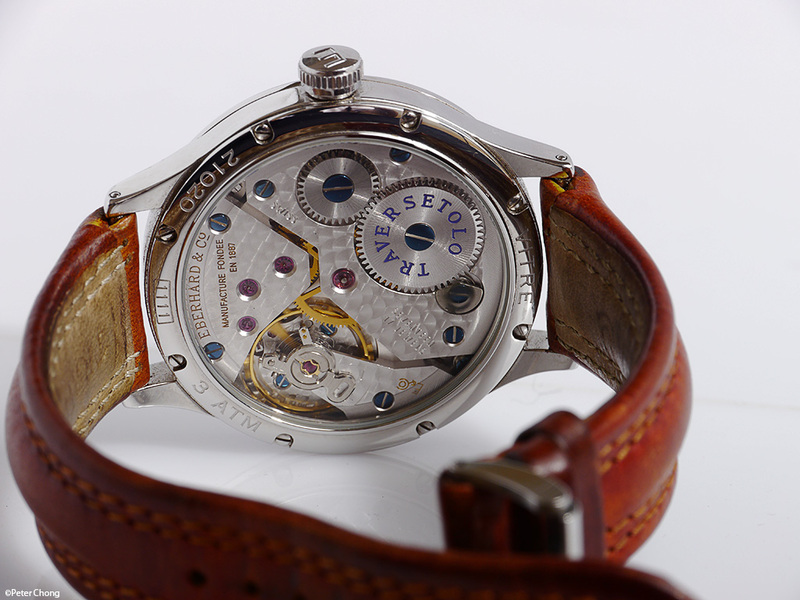 Even the strap is original, and now beautifully patinaed.